Playing on their own custom-designed model “MM37” melodicas, Tristan Clarke (Principal Trumpet of the Jacksonville Symphony) and Joe Buono (Peabody trained composer and teacher) manage to defy the expectations one might have of these air-powered mini-keyboards. 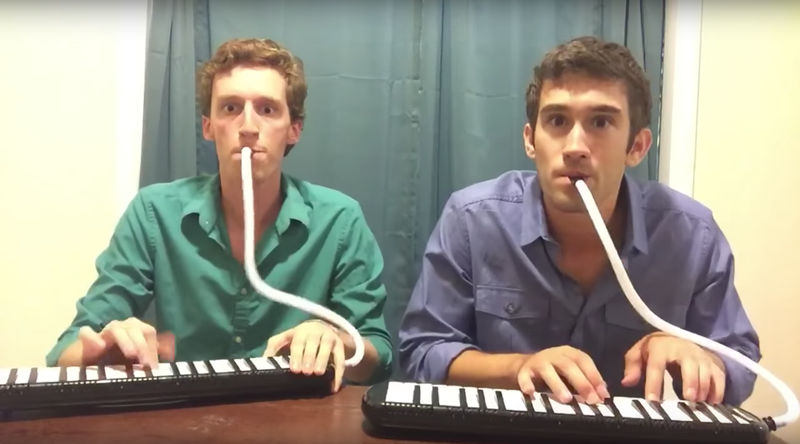 Given their viral success and the visibility of Jon Batiste playing melodica as frontman for Stay Human, house band for The Late Show with Stephen Colbert, could we be seeing the beginnings of a global melodica awakening? Probably not. But it’d be fun if it happened. Enjoy the video! Tags: Joe Buono, Jon Batiste, melodica, melodica men, Tchaikovsky, Tristan Clarke, video. Bookmark the permalink.